Winter is not going away without a final cold front fight but spring is just a few weeks away. That means in just a couple of weeks you can finally get back outside and get your garden ready for planting. Whether this is your first gardening season or you’re a “green thumb” you’ll benefit from these tips on how to get your garden ready. Not all gardening in done in the ground. You can accomplish a lot of growing without digging up any plot of lawn. 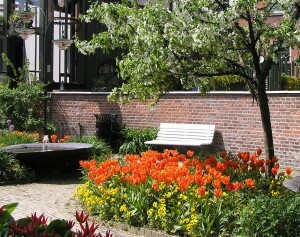 Consider planters not only for colorful flowers but also for herbs and vegetables. If you have containers you used last year, then you’ll want to clean them out of any weeds, check for cracks and replenish the soil with nutrient rich dirt. Bird baths and feeders are wonderful additions to any garden but they can tend to get dirty especially after a long winter. You’ll want to give them all a good cleaning and stock up with fresh seeds for the return of your feathered friends. Although your focus might be on your gardens, you don’t want to neglect the lawns. Before the first mow of spring, you’ll want to give the grounds a good raking to pick up all the winter debris. This is also a good time to aerate your soil and patch up any barren spots with reseeding. Before spring arrives in full, you should look over your small trees and shrubs to see what needs early pruning. By pruning early, you’ll set those plants up for vigorous growth when the growing season begins in earnest. All of this pruning, digging and cleaning could have you left with piles of yard waste that needs to be disposed of. When that debris is too much for the trashcan, you’ll want to call in Junk King Albany. 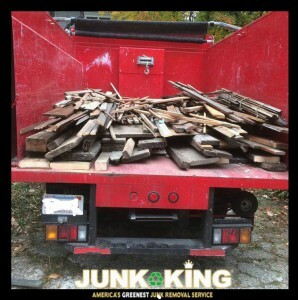 Even though most of their appointments consist of hauling away unwanted furniture and appliances, the crew from Junk King Albany can be a big help clearing your yard. To help get your garden ready for spring, put Junk King Albany to work today. This entry was posted in Albany Junk Removal and tagged garden ready, Junk King, junk removal on February 21, 2018 by Junk King. Last updated February 21, 2018 .